Series "Freshness", filter with thread. The "Freshness" series is a 100% natural herbal tea in boxes of 20 individually wrapped filter with thread. The packaging of this tea series is a filter sachet with a thread and a label placed in a paper bag made with a fresh and well-recognizable design. Packed in such a way, it can be used indoors or also available in public places: tea rooms, cafes, etc. The "Freshness" series is 100% natural herbal tea boxes of 20 pieces individually packed in an envelope filter with a thread. 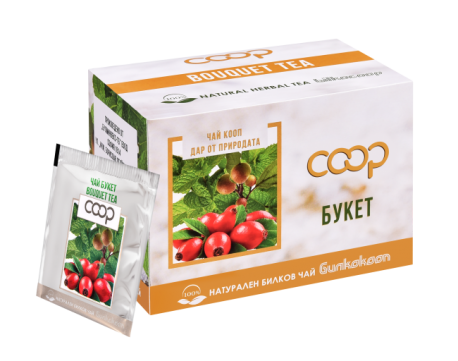 The packaging of this series is a filter sachet with a thread and a label placed in an artistically shaped polypropylene envelope with a fresh color combination, providing easy recognition of the tea. The quality of the individually packed filter guarantees the preservation of the taste and flavor of the tea, regardless of when the sales package is opened and prevents the smell of tea from mixing with external odors. 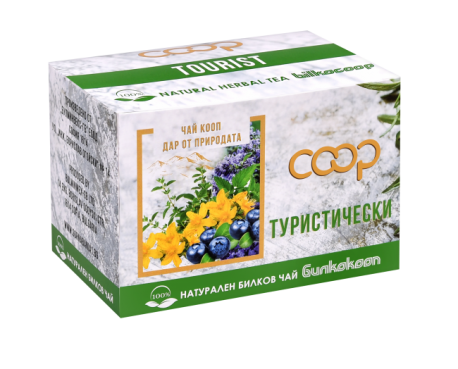 Series "Nature" boxes of 20 pieces is 100% natural herbal tea with filter without thread. Available in a wide range. Suitable for use at home and at work. 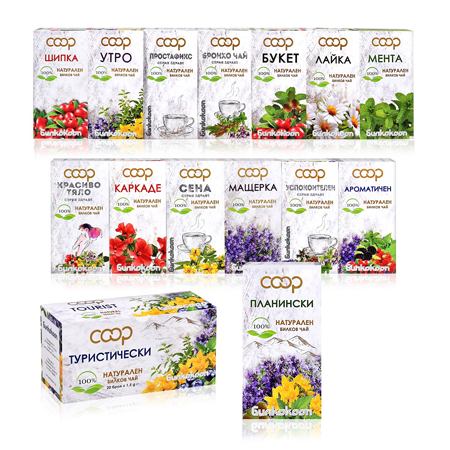 Series "Health" boxes of 20 pcs - 100% natural herbal tea with filter without thread. 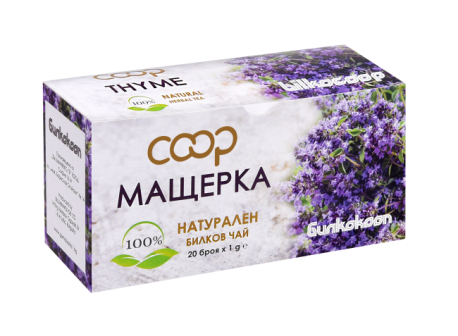 Developed by us with content of carefully selected herbal mixtures with proven beneficial effect in discomfort and malaise. BULMINWEX-GB LTD, Sofia 1614, Gorna Bania Estate, 14, Eng. Borislav Ogoyski str. BULMINWEX-GB – GORNA BANIA LTD. is the first company in Bulgaria for bottling of mineral water.